A Walla Walla man died in a bicycle crash involving a semi-truck last week. The local police and Washington State Patrol continue to investigate the fatal collision. 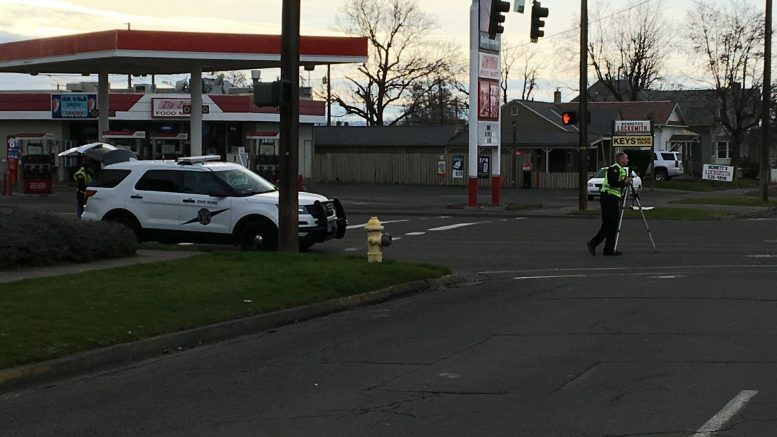 The 61-year-old bicyclist was crossing 9th Street via Alder Street in Walla Walla on Jan. 22 when a semi-truck struck him in the intersection. Witnesses said the bicyclist proceeded at a green light. A 59-year-old Reno, Nevada, man was driving the semi northbound on 9th Avenue. State Patrol may work on a scene re-construction to help with the criminal investigation, authorities say. Walla Walla County Prosecuting Attorney Jim Nagle told My Columbia Basin last week that his office was waiting on local and state police investigations before determining whether to file charges. Nagle said the investigation is difficult because of the highly-traveled street. After the incident, the street was blocked off. He said the investigation entailed everything from tracking down witnesses, detailing the speed of traffic and using a laser instrument to survey the scene. Why Are Semi-Truck Accidents Different? One of the worst mistakes a victim can make is thinking all accidents are equal. Collisions involving semi-trucks, big rigs, 18-wheelers, commercial vehicles or any other type of big truck is very different from your standard motor vehicle accident. 1. Bigger insurance policies: Trucking companies have large insurance policies due to the nature of the potential accidents. That means trucking companies will defend these accidents to reduce their liability. If you find yourself up against a trucking company after an accident, don’t hesitate. Hire a lawyer. 2. Different regulations: Truckers and their employers have to follow strict rules and regulations set by state and federal agencies. This covers everything from maintenance to logbooks to inspections, as well as qualifications for getting behind the wheel. Determining where these rules are broken is best left to an experienced truck accident attorney. 3. Devastating injuries: Pedestrians, bicyclists and passenger vehicles are at an extreme disadvantage when involved in a crash with a semi-truck. The risk of injury is enormous. For that reason, medical bills are almost always much higher when a semi-truck is involved in the collision. 4. Increased chance of death: As shown in the case above, accidents involving a semi-truck are much more likely to result in death. According to the Federal Motor Carrier Safety Administration, semi-truck accidents are responsible for about 3,000 to 5,000 deaths each year. 5. Requires the right attorney: An inexperienced lawyer will be in over their head when handling a semi-truck accident case. Go with someone that has the knowledge and resources to fight back against the trucking company. 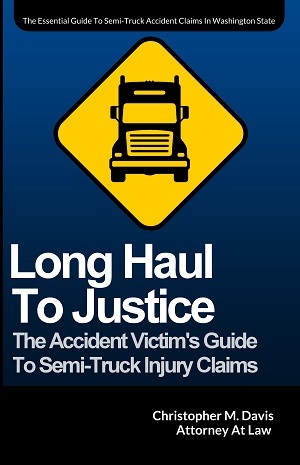 Truck accident law is complex, and the cases can take years to settle or get resolved at trial. Hire someone that will see your case through to the end. Trucking accident lawyer Attorney Chris Davis has almost 25 years of experienced representing semi-truck accident victims. Contact Davis Law Group, P.S., today for a free case evaluation. Call (206) 727-4000, use the chat feature below or fill out the form on this page to get started.